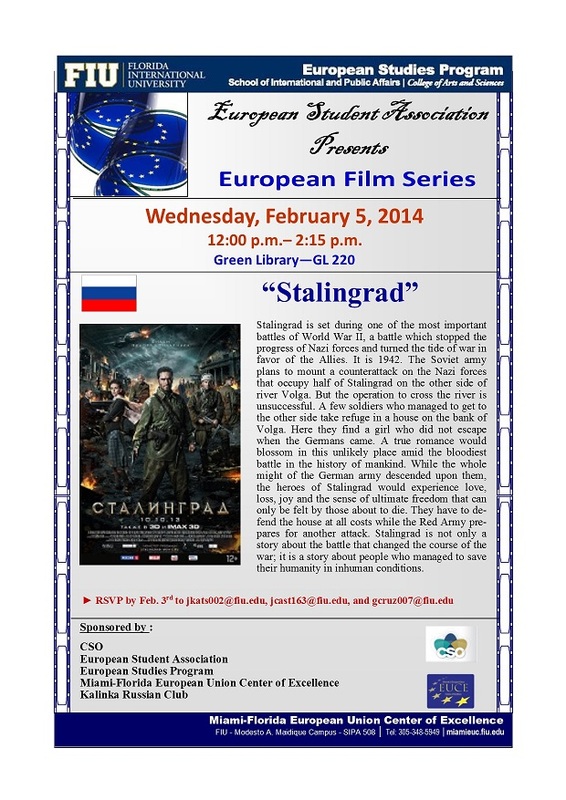 The Miami-Florida European Union Center of Excellence, FIU, the European Studies Program, and the European Student Association, organize a European film series on the topic of European politics. "Stalingrad" (Russian: Сталинград) is a 2013 Russian war drama film directed by Fedor Bondarchuk. The Battle of Stalingrad, the turning point of the European Theater of World War II.